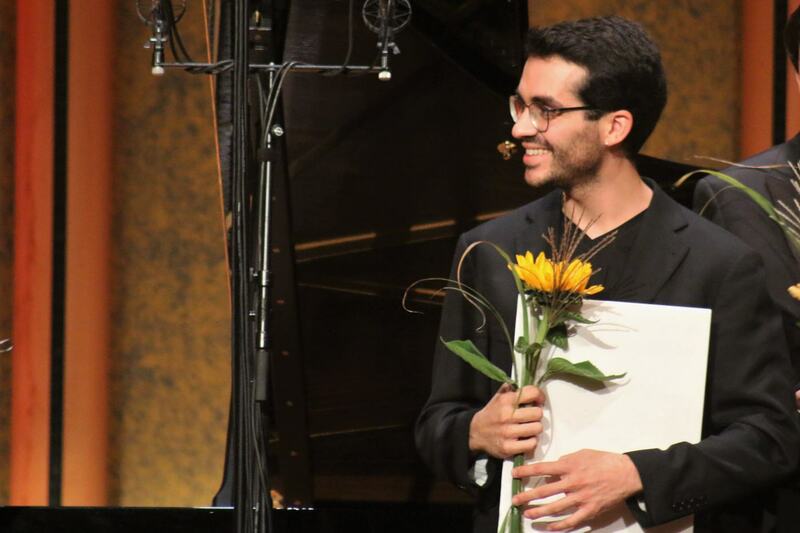 Juan Pérez Floristán is the winner of the 16th Bad Kissingen Piano Olympics. The jury’s decision was announced by Artistic Director Dr Tilman Schlömp on the 7th of October after the final concert. The jury chose the 25-year old from Spain for his exceptional piano talent and his interpretational cogency which he has shown in all parts of his programme in Bad Kissingen. Martin James Bartlett (22) from England was awarded the second prize for his romantic tone, humour and pianistic brilliance. The third prize was given to Łukasz Krupiński (26) from Poland because of his colourful timbre and the poetic presentation of the romantic repertoire. In the nearly sold out Rossini Hall of the Kissinger Arkadenbau the guests that were present at all concerts voted for Martin James Bartlett to receive the Audience Prize. All six candidates at the 16th Bad Kissingen Piano Olympics have performed interpretations of the highest calibre and will be invited to join the Kissinger Sommer 2019. In addition, the winner of the Bad Kissingen Piano Olympics will also get the chance to perform in the Steinway-Haus in Frankfurt as part of a partnership with Steinway & Sons.